SJSU physics student Stephanie Striegel is involved in research that could help scientists discover new exoplanets. Stephanie Striegel is set to graduate this spring with a bachelor’s in physics but she already has her sights set high — beyond this galaxy to be exact. Last summer, Striegel interned at the Carnegie Observatories in Pasadena with Dr. Johanna Teske, where they conducted research on mitigating stellar noise using high cadence radial velocity observations for the purpose of detecting small exoplanets. Exoplanets are planets that orbit a sun other than our sun, according to NASA. Scientists are particularly interested in identifying these bodies beyond our galaxy in their search to find a place that might be habitable. 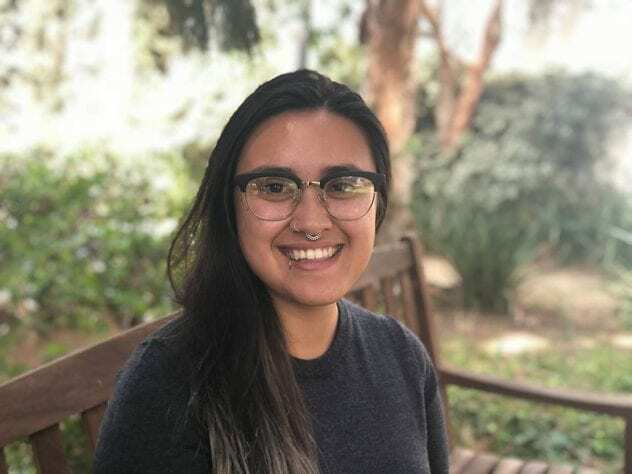 Striegel’s summer internship was offered through the CAMPARE program, which recruits students from California State University and California community colleges to engage in research, with a goal of increasing underrepresented students in the sciences. She was awarded a $3,000 grant from Sigma Xi Grants-in-Aid of Research program to fund an observing run at Las Campanas Observatory in Chile to collect more data on her stellar noise project with Teske during the school year. According to Sigma Xi, 12 percent of the 810 applicants who applied were approved for funding, and of those approved, only 17 percent were undergraduate students. While she completes the final courses of her undergraduate career, Striegel is also engaged in an internship at NASA’s Ames Research Center (ARC). She is working with Dr. Tom Greene on reducing laboratory data and performing detector characterization for infrared instruments to enable future studies of habitable exoplanets. Before beginning her internships, Striegel worked with Associate Professor Aaron Romanowsky’s student research team. His research group was focused on ultra-compact dwarf (UCD) galaxies, which are brighter and more compact than typical dwarf galaxies. Her task included mining the Sloan Digital Sky Survey catalogue for possible candidates by analyzing the characteristics of confirmed UCDs and using SQL queries to do comparisons around galaxies in the local universe. Along with other scientists, Romanowsky’s team hopes to discover how UCDs were formed, specifically if they were part of larger galaxies.